NASHVILLE, Tenn. (January 20, 2016) – Grammy, ACM, CMA and Emmy winning country legend HANK WILLIAMS JR., has been chosen as NRA Country’s Featured Artist for January. To celebrate, the icon will be joining NRA Country in offering an exclusive giveaway where one lucky fan will win a prize pack including an autographed guitar and copy of his brand new album, It’s About Time, and some Hank Williams Jr. merchandise. “When I am not out on the road or making music you can find me hunting, fishing, or just enjoying the peace and quiet on my land,” says Hank. “I am so proud to live in this beautiful country! I am Hank Williams Jr. and I am NRA Country." As part of the NRA Country promotion, fans can register to win the exclusive prize pack starting today through January 31. As an NRA Country Featured Artist, Hank Williams Jr. joins some of country music’s biggest acts including Florida Georgia Line, Lee Brice, Frankie Ballard, Love and Theft, Easton Corbin, Eric Paslay, Craig Morgan, Chase Rice, The Swon Brothers, Jon Pardi, Montgomery Gentry, Blackberry Smoke, LOCASH and many more, in teaming up to celebrate their support of our brave men and women in uniform, appreciation for the great outdoors, and love of family. Learn more and get NRA Country Connected atwww.NRACountry.com! 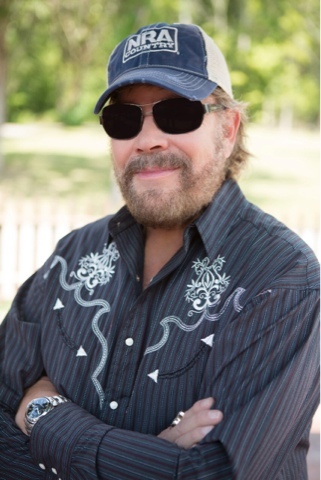 Fans can keep up with Hank Williams Jr. by visiting the web site athankjr.com, Facebook,and Twitter.